Seattle Symphony is up for three Grammy Awards — a good reminder that we have a world-class orchestra here. For those unfamiliar with attending a Symphony performance, here's how to dip a toe (an ear?) into the world of live classical music. 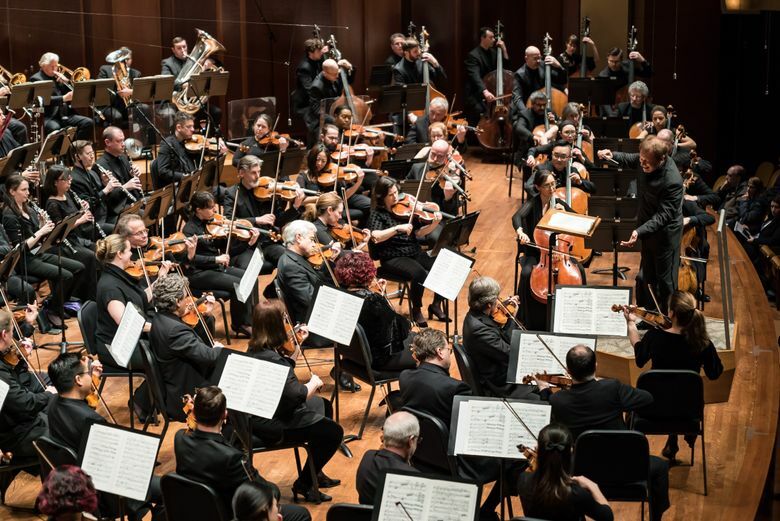 Seattle Symphony is up for three Grammy Awards (best orchestral performance, best classical instrumental solo and best contemporary classical composition) on Feb. 10 — a good reminder that we have a world-class orchestra playing almost every weekend here. But for some, attending a Symphony performance is venturing into unfamiliar territory. The people behind the music would like to play for you, though, whoever you are. 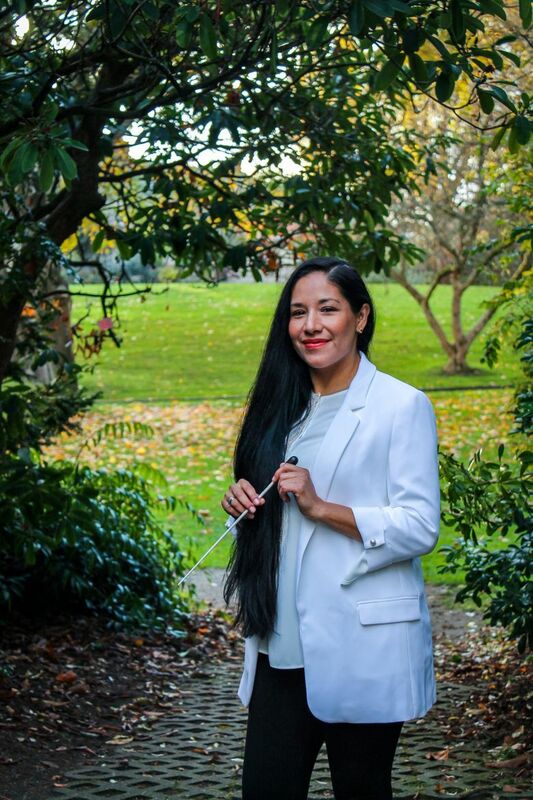 “We want to figure out what people want to hear and connect them with that,” said Laura Reynolds, Seattle Symphony’s vice president of education and community engagement. Here’s how to dip a toe (an ear?) into the world of live classical music. You don’t need to be in Benaroya Hall, the Seattle Symphony’s home, to get a good taste of well-performed classical music. Seattle Symphony does about six community concerts a year, and they’re free and open to the public. The next one is scheduled for Feb. 15 at the Highline Performing Arts Center in Burien, alongside the Ballard Civic Orchestra. Hers is one of many community orchestras in the area. The wealth of offerings is obvious on classical-music websites such as Live Music Project. As its calendar makes clear, rarely does a day go by in the Puget Sound area without some kind of live classical music, much of it inexpensive or even free. Performances run the gamut from early to modern and from traditional to cutting edge. For the Benaroya experience on a tighter budget, Sunday and Friday matinees at Seattle Symphony are often less expensive. Concerts in the Untuxed series are shorter, more casual (musicians in jeans!) and cheaper, too. Taking the mystery out of music can make it less scary. Start by listening at home, perhaps to Seattle Symphony’s This Week/Next Week channel on Spotify, where you can find music the orchestra will be playing soon. “People can get a sense for whether it’s something they want to hear live,” Reynolds said. Radio stations including KING-FM (98.1) can also give a taste, including previews and concert broadcasts. YouTube also offers a wealth of resources (including a Seattle Symphony channel) for learning about music and seeing what a concert is like. Read the program notes online before you go, as well as blogs such as Seattle Symphony’s Beyond the Stage. Many local orchestras offer educational or youth-oriented events as well as concerts open to the public, and many do outreach into underrepresented communities. Some kinds of concerts are easier for novices than others — those where the orchestra plays the score for a movie projected on-screen, for example. You can search for tickets on the Seattle Symphony website based on the kind of program, and the box office can also answer questions. Once you buy a ticket, see if there’s a preconcert chat. Artists or educators take the stage 30 minutes before many Seattle Symphony concerts to talk with the audience about the night’s music and what to listen for. Be on time. Once the music has started, latecomers can only be let into the auditorium at certain breaks. “Sometimes music has a really quiet beginning, and we want everyone to be able to hear that,” Reynolds said. Wear what you like. You’ll see people celebrating a wide range of personal styles at concerts. “Our goal is that everyone feel comfortable,” Reynolds says. “If you feel most comfortable in your Birkenstocks and khakis and Seahawks jersey, go for it.” On the other hand, if you’ve been looking for an excuse to dress up, this is your chance. Don’t clap between movements — or do. There’s a widespread view that people shouldn’t applaud between movements, or segments, of a symphony. But that wasn’t always true. 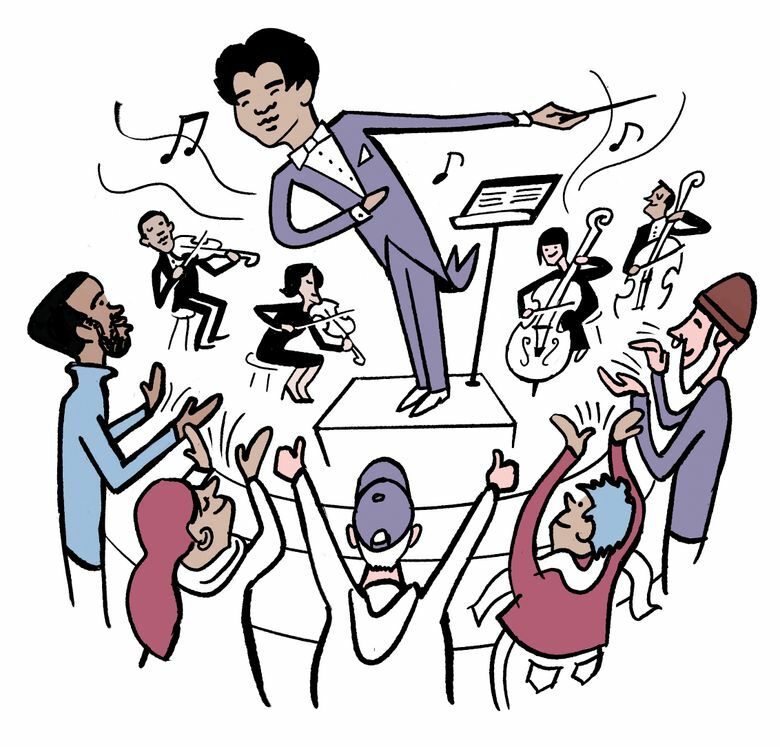 In symphonic music’s early days, audiences tended to be rowdier than they are now. Bach performed in coffeehouses, and Mozart was famously thrilled when the audience burst into applause in the middle of his “Paris” symphony. By the mid-1800s, a code of silence between movements emerged, partly to keep the focus on the music. But recent years have seen a pushback. Reynolds says spontaneous clapping after a particularly thrilling movement doesn’t bother musicians. “If you clap, that means you’re appreciating what you’re hearing, and it’s fine.” If you don’t want to go against the grain, look at the program to ascertain how many movements are in a given piece so you can keep track. Photos are allowed before the conductor takes the podium, but after that, it’s best to have your phone turned off. Even vibration can sometimes be audible amid excellent acoustics. Speaking of noise, if you think people cough more than normal during concerts, studies show you’re right. Hydrate before the show, bring cough drops (ushers also carry them) and stay home if you’re sick. If you must cough, muffle it with a coat or the crook of your arm. John DiCesare, principal tuba at Seattle Symphony, says coughing loudly during quiet parts is the only audience behavior that ever bothers him. “Just wait until I pick up my instrument” to do it, he joked. Every conductor and musician has a different style. Some violinists are particularly expressive. Reynolds likes to watch how the musicians interact with the conductor and one another throughout the show. Percussionists often play more than one instrument, each with its own methods. With a particularly loud instrument, such as a gong, watching the musician warm it up and quiet it down is as fun as the main whack. When music isn’t playing, look for whimsical “Easter eggs” designers and builders hid throughout Benaroya Hall. If you keep your eyes open, you may spot, say, a flamingo in the carpet pattern or etched into the metal of an air vent. Orchestra: a group of musicians containing string, woodwind, brass and percussion sections. Symphony: an orchestral work traditionally, but not always, made up of four movements, which may or may not tell a story beyond the music itself. The word also often appears as shorthand for “symphony orchestra” in names including Seattle Symphony. Movement: a section, like a chapter in a book. The classical four-movement structure of a symphony is allegro (fast), adagio or andante (slow or moderately slow), minuet (a dance in triple meter) or scherzo (a playful passage), allegro (fast). But a symphony can have three to six movements, depending on what the composer thinks appropriate. Concerto: an orchestral piece of music featuring a soloist, often a pianist or violinist. Theme: a particular melody that is repeated or echoed in various ways throughout a piece. Arrangement: a particular adaptation of a work that includes instructions on things like instrumentation.